During the movie Same Time, Next Year, which was the topic of my last post, Alan Alda’s character sits down at a piano a few times, and one of the songs he plays is “If I Knew You Were Coming, I’d Have Baked a Cake.” I don’t think I’ve heard anyone perform that song in decades, but I do remember when it was a big hit. That was in 1950, and in that era, novelty songs, as they were called, often made it to the charts and sometimes in a big way. And dig, dig, dig right in. 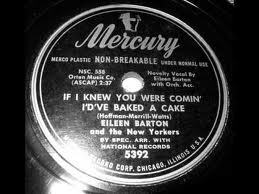 The first and iconic recording of this song was made by Eileen Barton. 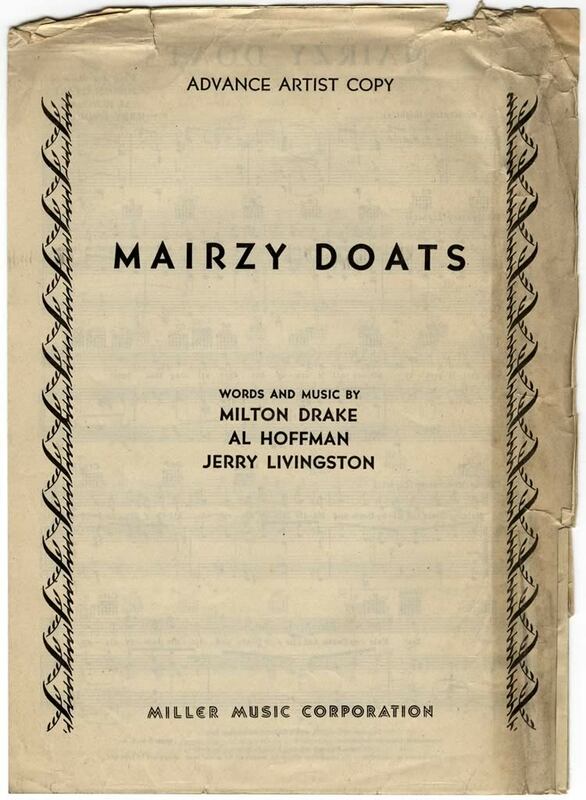 The tune arrived on the Billboard magazine chart in March 1950 and stayed for 16 weeks, peaking at No. 1. A recording made that same year by Georgia Gibbs was on the Billboard chart for six weeks. The best-known performance of the song, with good reason, was by Ernie in an encounter with the Cookie Monster in 1969 during the first season of Sesame Street. You can see that scene by clicking HERE. You can hear the Merry Macs’ hit recording by clicking HERE. This song was a particularly good fit for the wack-a-doodle bandleader Spike Jones, and you can hear his recording by clicking HERE.